Mt. Laurel residents could see a small dip on their regional school tax bill for this upcoming year. 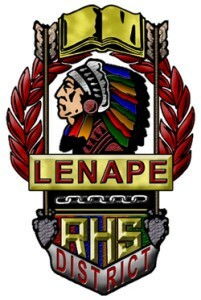 The Lenape Regional High School District board of education unanimously approved the district’s tentative 2015–16 school year budget at last week’s meeting. The tentative budget includes a decrease of $26.89 for a Mt. Laurel resident with the average assessed home of $237,518. The regional school tax rate decreased 1.29 cents per $100 of assessed value. The total budget is $154,058,531, an increase of 1.4 percent from last year. Most of the budget is funded with taxpayer money, with $114,362,944 expected to come from taxpayers in the district’s eight municipalities. Details on the tentative budget were not discussed at the meeting. The budget was passed so it could be submitted to the Burlington County superintendent’s office prior to March 20. District officials plan to discuss the budget in full during the public hearing, scheduled for Wednesday, April 28 at the district administration building in Shamong at 7:30 p.m.
A pair of late winter snow days on March 5 and 6 are having an impact on the school calendar. Superintendent Carol Birnbohm said graduation is currently been pushed back to June 18 because the school calendar has been extended to make up for the snow days the district has had this year. “We’ve had a total of four snow days so far this year,” Birnbohm said. Birnbohm noted the school year could be pushed back further if the district uses additional emergency days. The snow days are also having an effect on the board of education’s meeting schedule. The meeting scheduled for June 17 has been moved back one week to Wednesday, June 24, to allow the meeting to take place after the end of the school year. In what has become a spring tradition, schools in the Lenape District have begun their fourth annual Give to Goodwill drive for 2015. Students, faculty and staff at all four high schools are encouraged to donate gently-used clothing, accessories, toys, books and other small household items and place them into a donation bin located in each school’s parking lot. Since 2012, the district has collected 109,387 pounds of donations. Through the drive’s first two weeks, Cherokee High School jumped out to an early lead, having contributed 0.84 pounds of donations per student. Cherokee has won all three of the past Give to Goodwill drives. The competition runs through April 17.